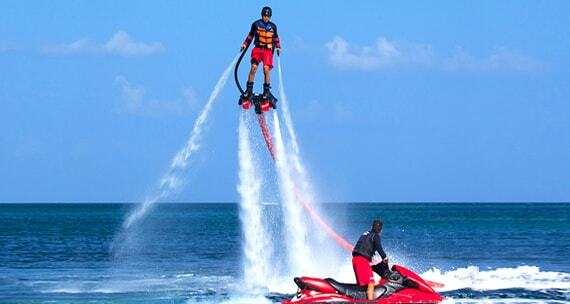 Experience the latest addition to the water sports - FLYBOARDING! Realise your dream of flying like a superhero with this exhilarating adventure. Technique - a flyboard rider remains standing on a board which is joined by a long hose to a watercraft. Water is constrained under pressure to a pair of boots with jet nozzles underneath which give push to the rider to fly up. Get ready to flyboard with our certified trainers! Enjoy it alone or with family/friends, the Banana Ride is yet another fun ride you just cannot miss! The name itself makes one go crazy. 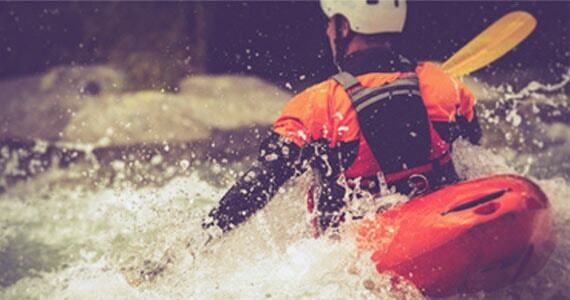 River Rafting is one thing that comes to every adventurous mind. So try this never regrettable water ride by heading out for a day of fun and frolic. 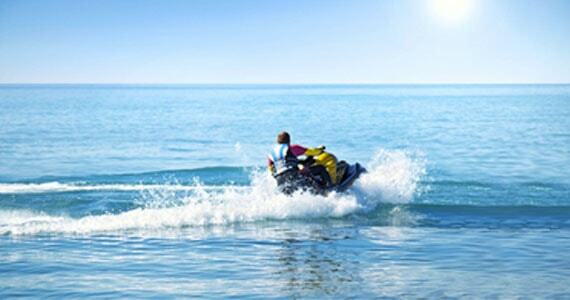 Jet skiing is everyone’s dream when it comes to water sports. Do not miss playing with this ride as you are sure to have a great time because it has the perfect combination excitement and thrill to offer. 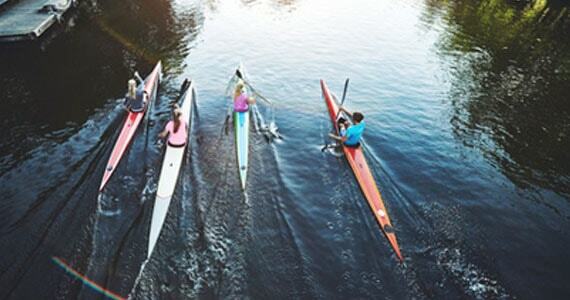 Leave all your worries on shores and paddle into this amazing leisure sport that is both fun and relaxing. Many get addicted to this sport, its time you try it too. Destination: Calangute – Baga, Kayaking North Goa, Palolem Beach, Dona Paula jetty, and Hollant Beach. 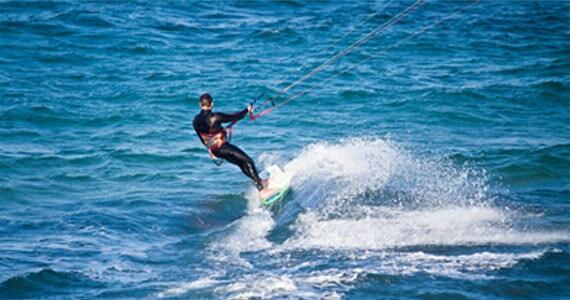 Feel the adrenaline rush with kitesurfing as this the most thrilling watersport one could ever enjoy. Kitesurfing is like chasing a ghost because the wind plays they key role. 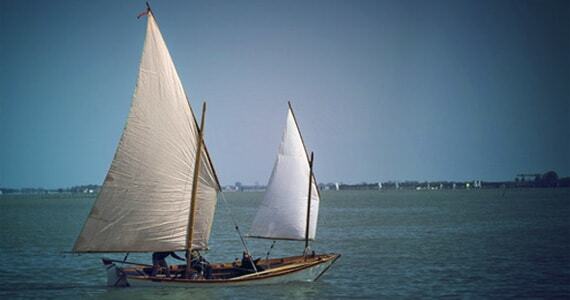 What can be more exciting than the unpredictable and surprising thrills of the wind! Love flying but can’t fly an airplane ? Thinking of trying something interesting? 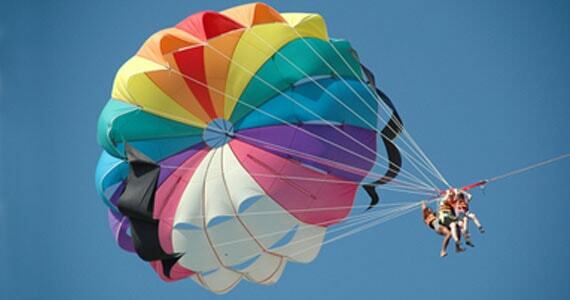 Parasailing is your answer! For amateurs this sport is a MUST if want to get the feel of its counterpart - Paragliding. Unveil the secrets hidden at the bottom of the ocean by scuba diving. Even if you can’t swim, you could take this adventure up. If you are good at kicking, then be assured that you are going to enjoy Scuba. Scuba dive with certified instructors. Best places : Grande Islands, St. George Island, Devagh Island, and Pigeon Island. 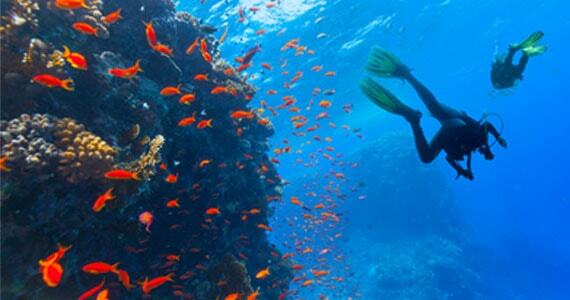 If diving scares you and yet adventure is all on your mind, then you’ve got to try snorkeling. 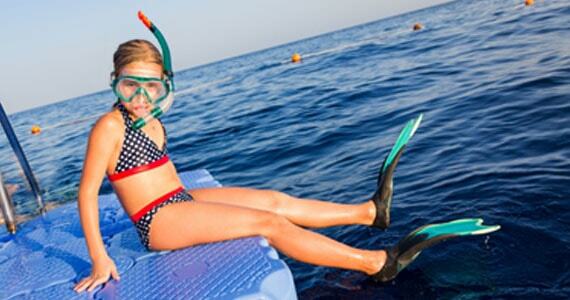 For amateurs who are scared of scuba diving in deep waters, snorkeling in shallow waters is unmatched fun. Ever wished to walk on water? Try Surfing..!! 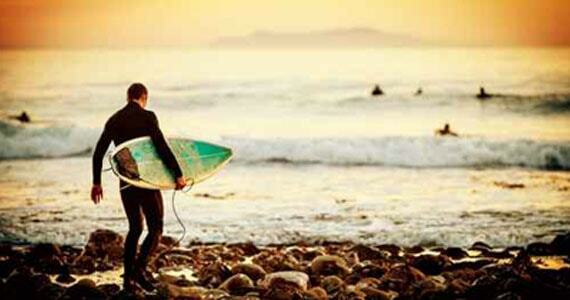 Today, surfing is the fastest growing fad. How about finding it out yourself? 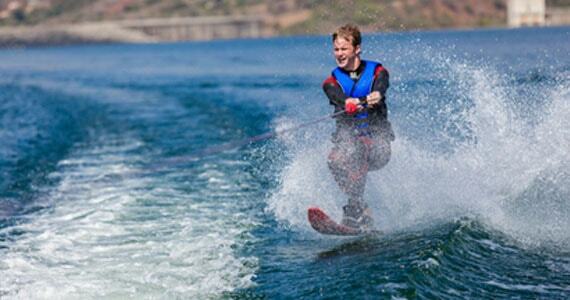 Water Skiing is another great sport if you are an Adventure-Romeo. All need to do is wear the skis, hold the handle attached to the rope on the boat tightly and crouch a bit when the boat kick-starts. Whoa! Destination : Palm Beach County, Baga Beach, Candolim Beach, Calangute Beach, Arossim Beach, Mobor Beach, and Utorda Beach. 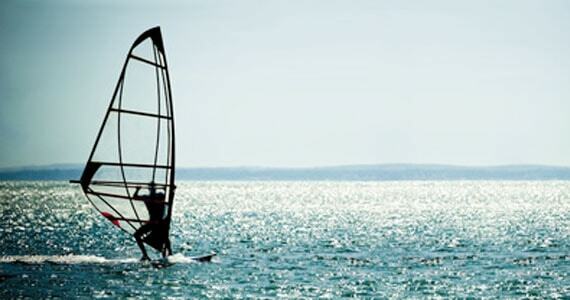 Windsurfing is another great sport which is out of the ordinary. 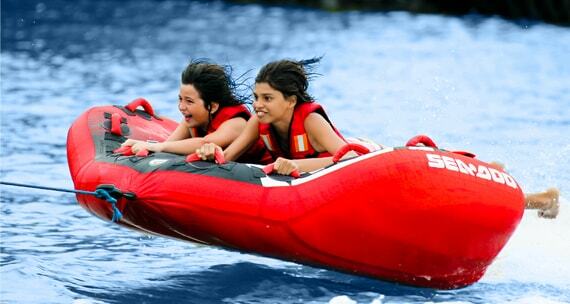 Challenge the adventurous beat in you and enjoy this amazing ride that offers the fun of both surfing and sailing. Exceptionally energizing for grown-ups and for children alike, Sleeping Bumper Ride is a riding of small round boats on water. Bumper ride is settled behind a speed watercraft (as a water ski) and as speed rises it bounces up and rider feels as if he is flying. 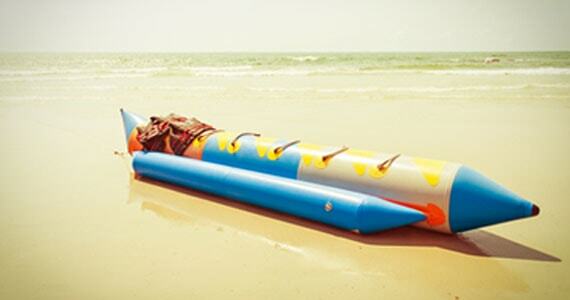 Get ready to have joy filled shrieks as you bump up and down with hushing and gushing waves!